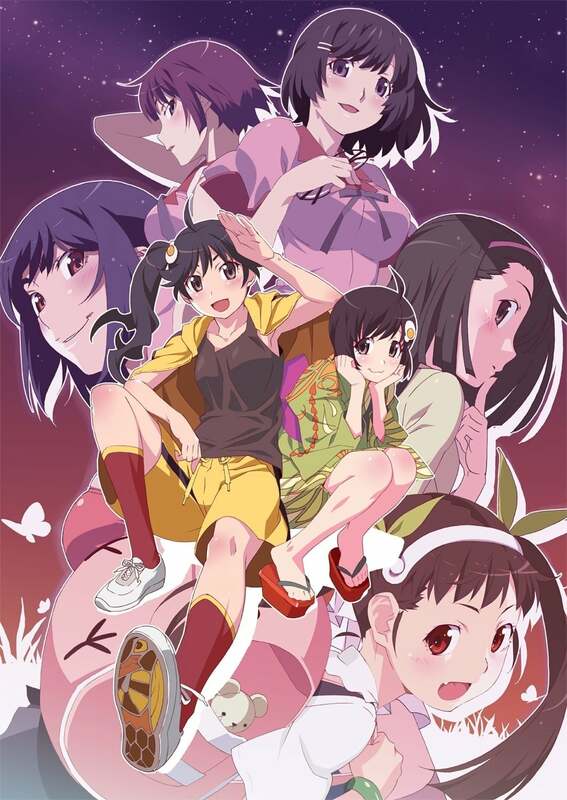 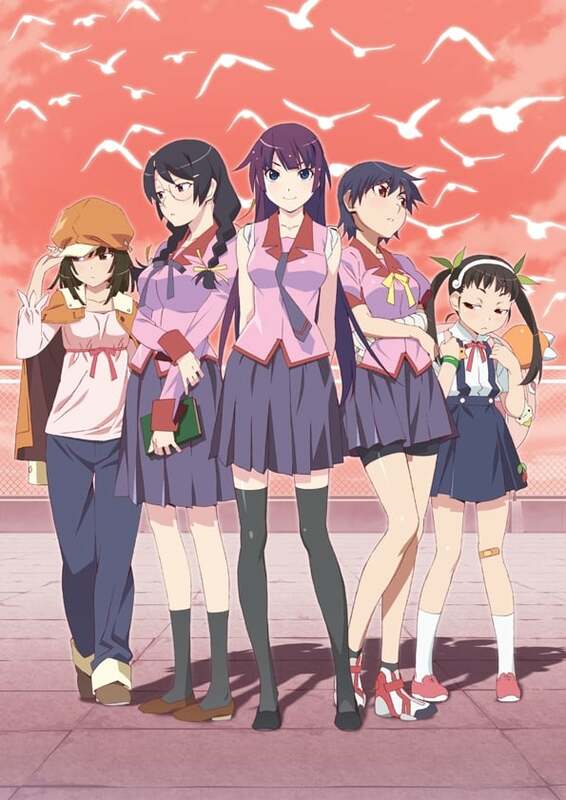 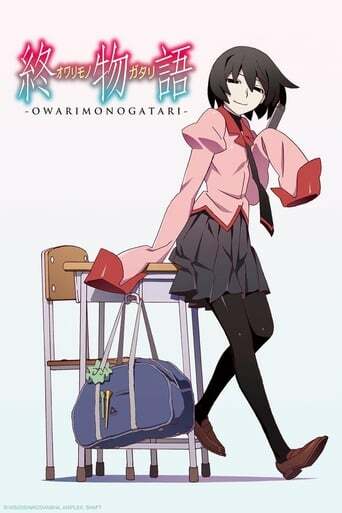 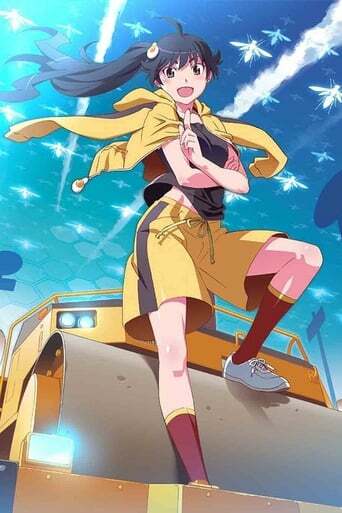 Araragi Koyomi is a third year high school student who is almost human again after having briefly become a vampire. 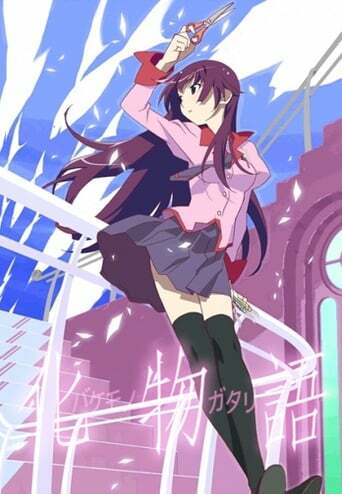 One day, a classmate named Senjougahara Hitagi, who infamously never talks to anyone, falls down the stairs into Koyomi's arms. 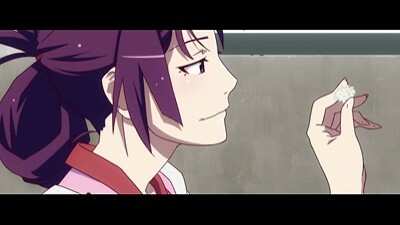 He discovers that Hitagi weighs next to nothing, in defiance of physics and common sense alike. 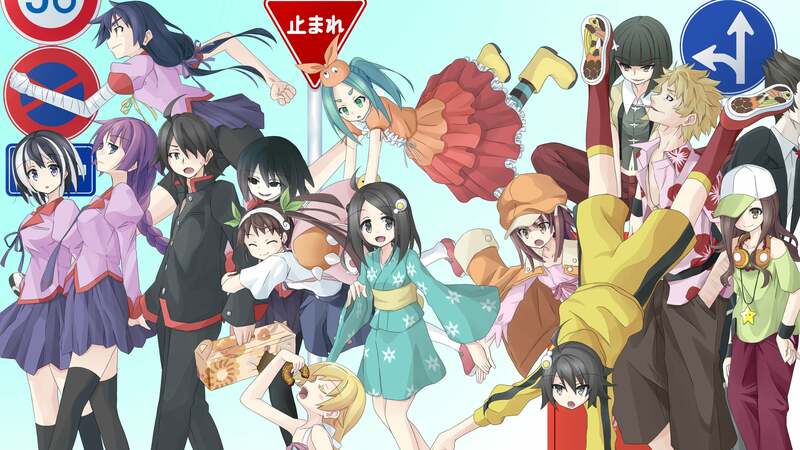 Despite being threatened by her, Koyomi offers her help, and introduces her to Oshino Meme, a middle-aged homeless man who helped him stop being a vampire. 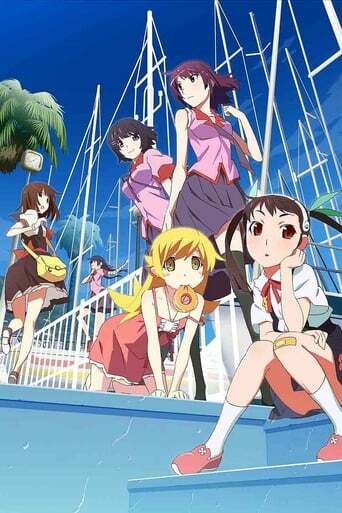 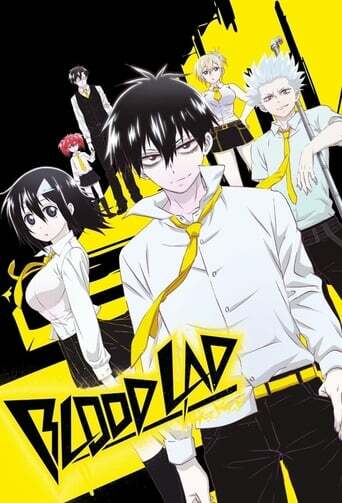 TV series created in 2009 and concluded in 2017 by Akiyuki Shinbo, Ishin Nishio, Tatsuya Oishi. 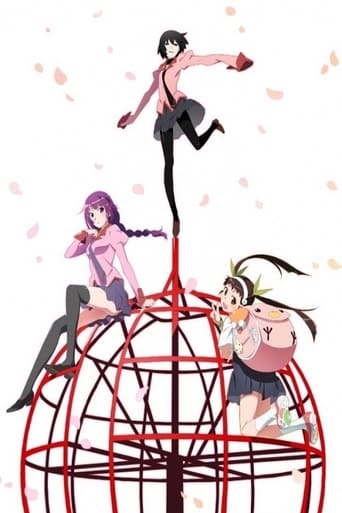 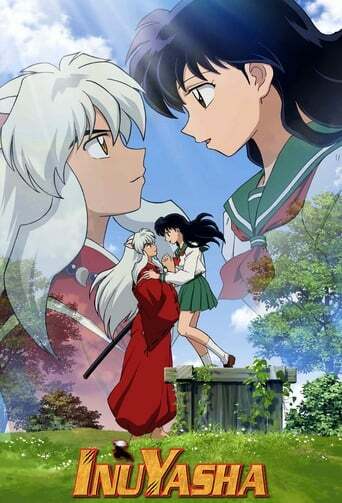 The show consists of 5 seasons and 68 episodes. 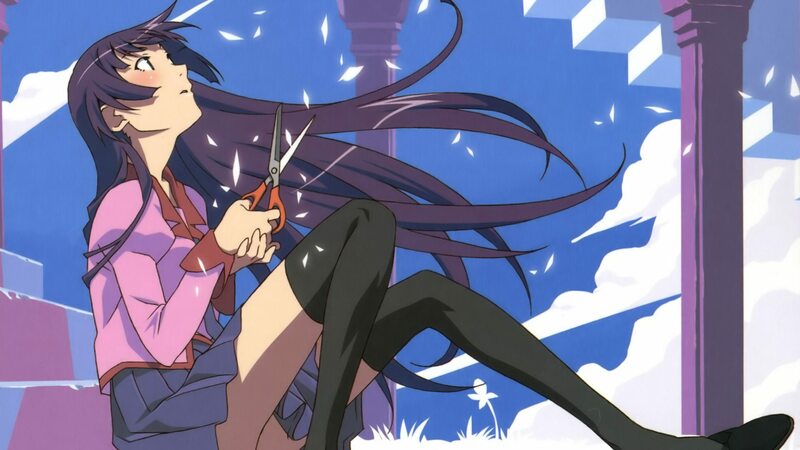 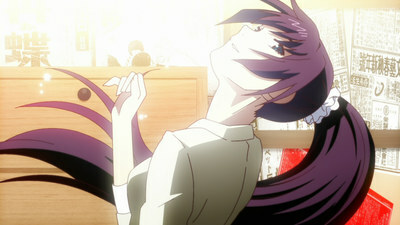 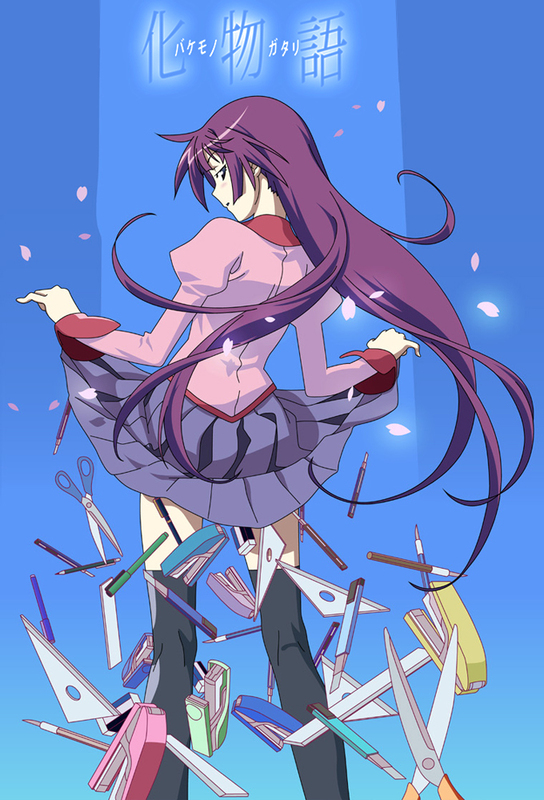 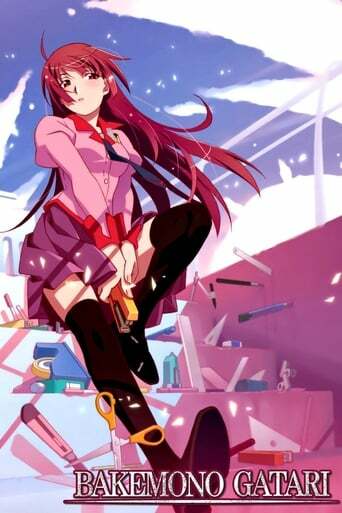 To overcome her problems, Hitagi has to face some difficult and painful memories from her past.